Home » I'm a NURSE :) » personal » Philhealth CARES » Random Rambling » Goodnight, Nursing. Hello people! I've been gone for quite some time. Did you miss me? I missed you, too! hehe. Anyway, it's Labor Day so NO WORK today! Wiiiiiih. I finally had the chance to go online and update this blog. I admit that I had second thoughts about this job. I was hesitant to leave nursing even for a while 'coz I fear of forgetting what being a nurse is all about. However, the forces that pushed me to grab the job are too strong that saying NO is no longer an option. First, the salary is quite good. Of course, we work to earn, right? We have to help our parents to put food on the table. We have to pay water and electric bills. We have to buy stuffs we need to live. Second, I thought I no longer have to work on a shifting schedule. If you are an avid reader of this blog [hehehe], you probably know what I've been through when I was still working in the hospital. 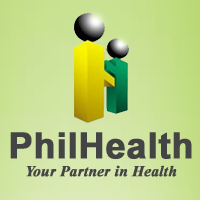 Third, I am one of the lucky 600 applicants who was chosen out of 23,000 others who applied online for the job, not to mention those who directly applied to Philhealth's office. God must've really wanted me to take this shot. In this life, we are bound to make choices; grab or let go? There are times when we'll get confused; should you hold on or it's better for you to let go? No matter how hard the decision you have to make is, consider where you'll be happy. Weigh things and choose which you think is best not only for yourself but also for the people around you. You are not an island. You are part of a consistently changing environment wherein what you do affects others too. All I'm saying is, take chances. This is what I just did in choosing to have this job rather than forever waiting for a nursing career. I have to take a pause, explore other things, learn and grow. The simplest concept of making a decision is the one wherein you could end up happy. There are always pros and cons but as long as you are there to take action and live by your decisions, then you'll be fine. Of, course, it will not end! congrats... kung baga, you're one of the cream of the crop... in life, choose the best. my wife's a nurse too... and i have high regards to you guys... Yahweh bless. good luck! it's very brave of you to explore and face the future with optimism :) gogogo! A lot of congratulations to you!! Best best of luck! Not only you'll have to think where you are happy - life in this world may also bring you into decisions with unhappy consequences. The good thing is, we know how to sacrifice for the better things ahead. Good luck on your chosen field of expertise. Well, your nursing career will always be there if you want it. If you feel you have to do this now, then do it with all gusto. Congrats on your new job! Who knows, you might be hired as a nurse in the same hospital too later on.